The prisoner release follws up on an amnesty guarantee made by the government in 2013. The government of Myanmar announced Tuesday that it will release over 3,000 prisoners, including former military intelligence officers. The move follows a broader initiative that began earlier this year when several former political prisoners were freed. 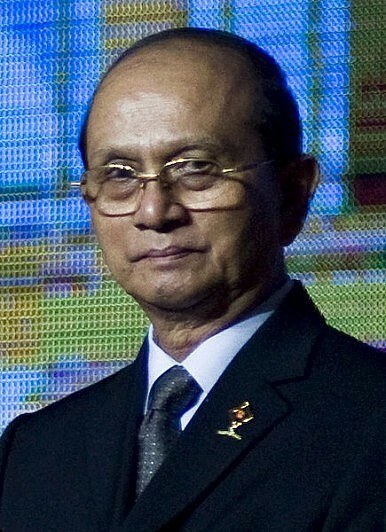 Thein Sein, Myanmar’s reformist president, has set out political prisoner pardons as part of his reform agenda. His government made an amnesty promise in July 2013, pledging to ultimately free all political prisoners by the end of last year. Failing to meet that deadline, the government continued releasing political prisoners into this year. According to human rights groups estimates, only a few hundred political prisoners remain imprisoned in Myanmar. According to a BBC report, some of the military intelligence officers that were released in this batch of political prisoners have ties to former Myanmar Prime Minister Khin Nyunt, who was purged from power 10 years ago. The former prime minister was released in 2012. Despite the positive message on human rights sent by the prisoner release decisions, Myanmar continues to struggle with human rights in other areas. Recently, the government of Myanmar came under fire from international rights groups for effectively forcing stateless members of the Muslim Rohingya ethnic group to identify as “Bengali “or face “indefinite detention” or possible deportation. The initiative is part of the Rakhine Action Plan, an initiative that was put forward by Myanmar’s foreign minister. It is part of an effort to restore order to Myanmar’s restive Western Rakhine province. According to Human Rights Watch, the Rohingya population of Myanmar associates negative connotations with the term “Bengali” as the term has long been used by Myanmar officials and nationalist Buddhists to alienate the group. Myanmar President Thein Sein announced that he would not stay on for another term, leaving the country open for democratic elections for the first time in years. Under Thein Sein’s reform, Myanmar’s opposition has returned to the political fold. Prominent pro-democracy activist and Nobel laureate Aung San Suu Kyi’s National League for Democracy (NLD) may end up backing Shwe Mann, a former general from the ruling party for the presidency. Suu Kyi herself is constitutionally ineligible for the presidency under an article which bars any candidates with foreign spouses or children; Suu Kyi’s late husband and her two sons are all British. Update: According to the Assistance Association for Political Prisoners (AAPP), there are 75 “prisoners of conscience” and 65 farmers still imprisoned in Myanmar.